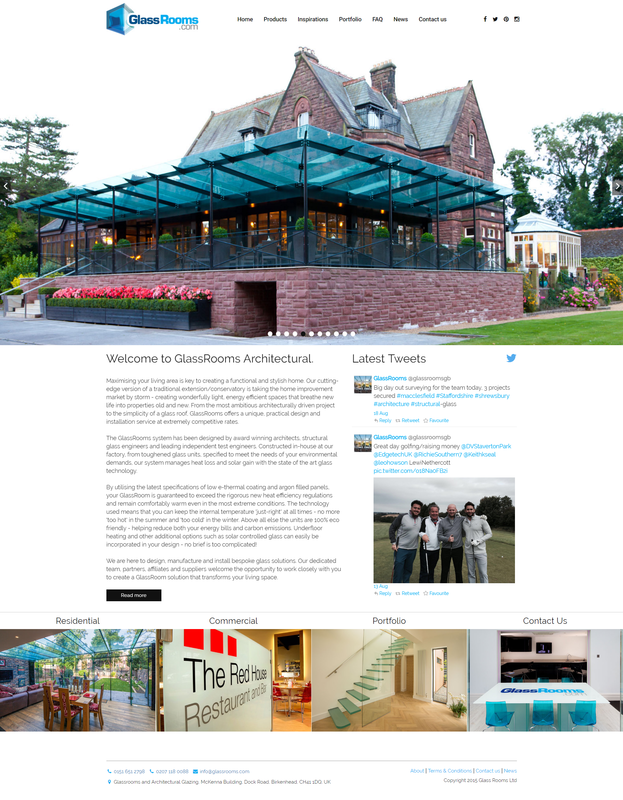 Max Web Solutions were asked to design and develop a clean structured website keeping within the Glass Rooms branding. The challenge was to build awareness of the company and architectural projects they have completed. The images glassrooms supplied were awesome! We used these images to focus the attention of the user on the beautiful glass installatoins Glassrooms had constructed and fitted. Showing the world what they could do was a major point of the design brief. We categorised the glass products into 6 main sections which provided an online brochure explaining and showing the work in each. Making each section easy to navigate to was a must so the easy in product navigation menu was introduced.